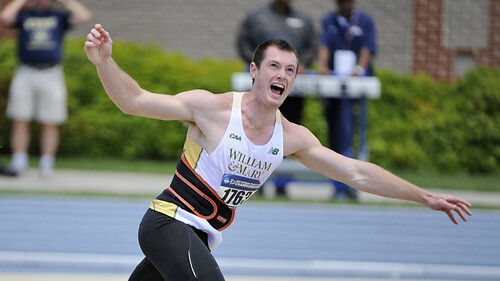 Thanks to Tim O'Dowd who posted these 57 pictures from the NCAA Regional meet. Emily Stites qualified for the NCAA meet in the 5K (as expected!). Here is the complete story. Here is the women's list which includes Emily Stites (4th in the 5K), Meghan McGovern (47th in the 5K), Elaina Balouris (11th in the 10K) and Dylan Hassett (40th in the 10K). Here is the men's list which includes Liam Anastasia-Murphy (45th in the steeple), Alex McGrath (11th in the 5K), Radford Gunzenhauser (47th in the 5K), Josh Hardin (18th in the 10K), Austin Vegas (42nd in the pole vault), Robert Smutsky (29th in the javelin) and John Muller (38th in the 1500). 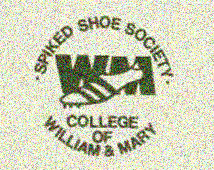 Donations to the team can be sent to "The Spiked Shoe Society," PO Box 399, Williamsburg, VA 23187 or by clicking on this link.